Excellent location. 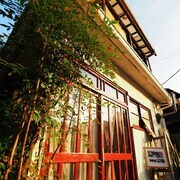 Lovely building. Extremely efficient and friendly service. 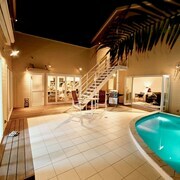 I would definitely stay here again. Which hotels are closest to the Kamakura airport? 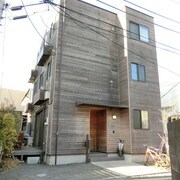 Can you find accommodation in popular areas of Kamakura? 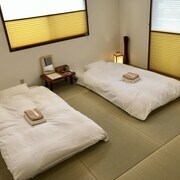 Where to stay near top Kamakura attractions? 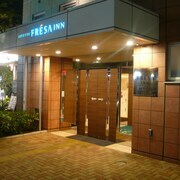 What kind of hotels are in Kamakura? 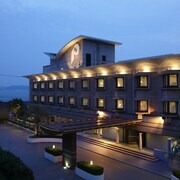 Which hotel chains are in Kamakura? Visitors to Kamakura are sure to enjoy the temples and seaside. Tourists can also enjoy the city's monuments and parks. Around the area, top sights include Hakkeijima Sea Paradise, Sankei-en Park, and Yokohama Stadium. 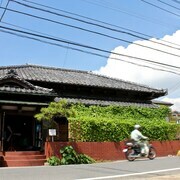 The city is notable for its temples and landmarks like Enkyuji Temple, Sasuke Inari Shrine, and Great Buddha. The city's natural setting is picturesque, including the seaside and these places to visit: Genjiyama Park, Fufuike Park, and Yuigahama. A couple of additional sights to add to your agenda are Kotokuin Temple and Zeniarai Benten Shrine. 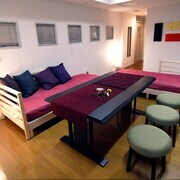 WeBase Kamakura - Hostel - With a stay at this 2-star hostel, guests can enjoy access to a restaurant and a bar, along with free WiFi. 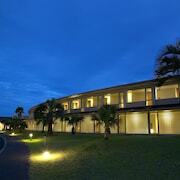 It's a favorite with Expedia travelers for its beach locale and overall value. 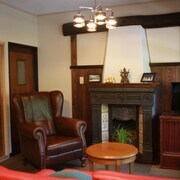 Hotel Mets Kamakura Ofuna - With a stay at this 3-star hotel, guests can enjoy access to a 24-hour business center and a café, along with free WiFi. 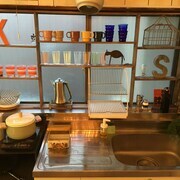 Shonan Enoshima Seaside Guest House ANNEX - Amenities at this 2.5-star guesthouse include free WiFi and laundry facilities. Expedia customers like its helpful staff. Top places to visit around the area include Hakkeijima Sea Paradise, located 6.3 mi (10.2 from the city center, and Sankei-en Park, which is 9.6 mi (15.5 away. With so many choices for transportation, exploring all of Kamakura is simple. You can access metro transit at Shonan-Fukasawa Station, Shonan-Machiya Station, and Fujimicho Station. If you want to journey outside of the city, hop aboard a train from Kamakura Station, Kita-Kamakura Station, or Kamakura Ofuna Station. 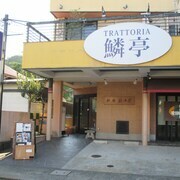 The Kamakura neighbourhood welcomes visitors with convenient options for restaurants. The neighbourhood's friendly people, natural features, and China town are just some of its charming qualities. Outdoor settings, such as the beaches, parks, and island views, attract many visitors. With hotels to suit everyone's tastes, Kamakura serves as a good starting point for exploring the greater Kamakura area. The area's storied past is told through its monuments and historic sites, while the museums provide some cultural flavour. Sights like Kamakura Museum of Literature, Yoshiya Nobuko Memorial, and Kaburaki Kiyokata Memorial Art Museum offer insight into the local culture. 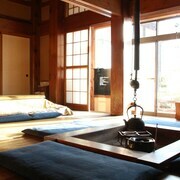 Enkyuji Temple, Sasuke Inari Shrine, and Great Buddha are significant monuments. Swing by Amanawa Shimmei Shrine, Kuzuharaoka Shrine, and Kosokuji Temple to learn about local history. Take a tour of campus around Yokohama National University, Kanagawa Prefectural Disaster Prevention Center, or JAXA Sagamihara Campus. 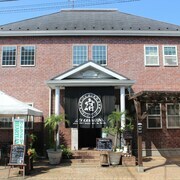 Be sure to get some family photos at Kamakura Performing Arts Center, Samuel Cocking Garden, and Kugenuma Seaside Park. Shopping, hiking, and surfing are just a few things to do in the area. You can take some time to enjoy the outdoors at Genjiyama Park, Fufuike Park, and Kamakura Seaside Park. Surround yourself with nature at Rokkokukenzan, Taya Caves, and Enoshima Iwaya Caves. You won't be disappointed visiting other sights like Kamakura Hiking Trails, Tenen Hiking trail, or Shonankaigan Park. A few of the most popular sights in the area include Hakkeijima Sea Paradise, Sankei-en Park, and Yokohama Stadium. You can also check out Kotokuin Temple, Zeniarai Benten Shrine, and Hase-dera. For a quick way to explore the city, catch a ride on metro transit at Shonan-Fukasawa Station, Shonan-Machiya Station, or Fujimicho Station. To see the sights outside of town, hop aboard a train. Kamakura Station is the closet train station, but Kita-Kamakura Station and Kamakura Ofuna Station are also nearby. 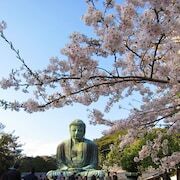 The closest major airport is Tokyo (HND-Haneda), located 34 km (21.1 miles) from Kamakura. The next closest airport is Tokyo (NRT-Narita Intl. ), located 92.1 km (57.3 miles) away. 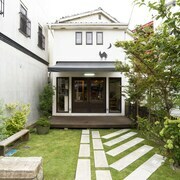 What are the most popular hotels in Kamakura? 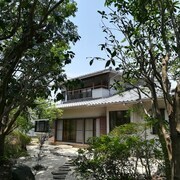 Are there hotels in cities near Kamakura? 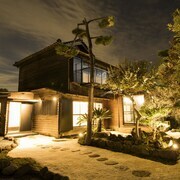 Explore Kamakura with Expedia.com.au’s Travel Guides to find the best flights, cars, holiday packages and more!